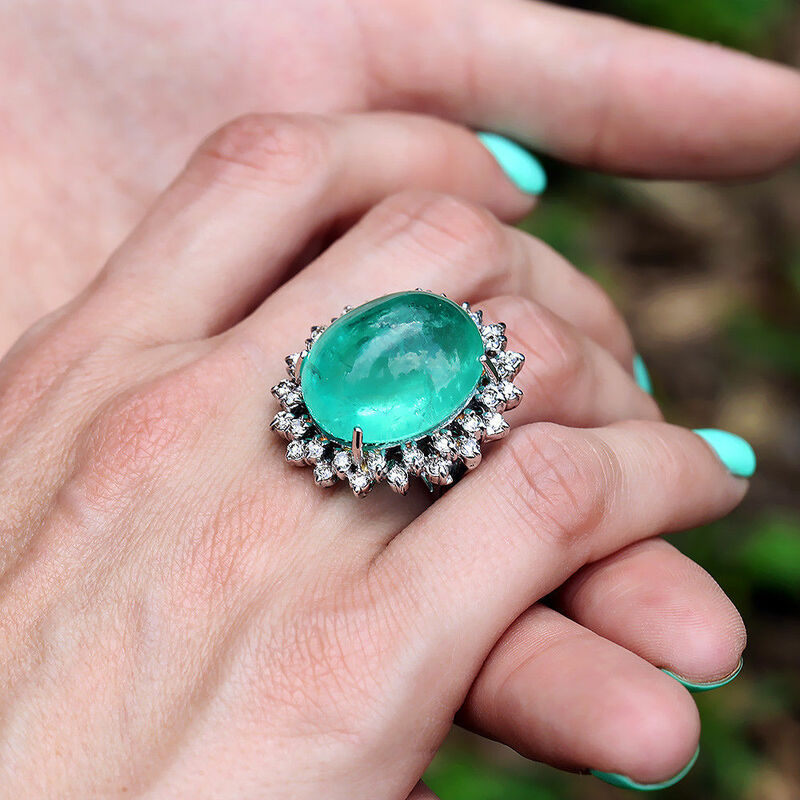 This bold emerald and diamond vintage cocktail ring is a gorgeous statement piece and is absolutely mesmerizing. EGL USA certifies this emerald to be natural and weigh a whopping 30.00 carats. The precious gemstone is oval cabochon cut which allows you to see and admire all of its inner beauty and evocative green hue. The gem is surrounded by two tiers of round brilliant diamonds weighing an estimated 1.00 carat total diamond weight in a solid 14kt white gold setting. The high polished white gold and the brilliant ice white sparkle of the diamonds is the perfect contrast to this museum quality gemstone. 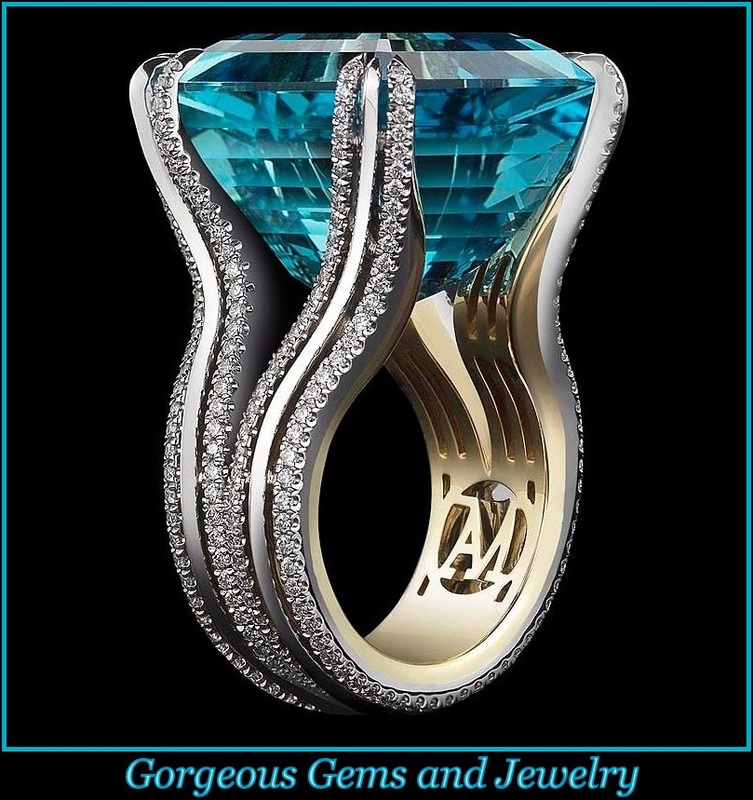 The ring weighs a hefty 17.5 grams and it rises almost 3/4″ above your finger. Its ring face measures 1 1/8″ from North to South and about an 1″ from East to West.